Buttertrade Giveaway: Ondeh Ondeh Cake from "In The Brickyard"
Cake! It's one of the simple joys and indulgences that makes both kids and adults happy. Where do you like to get your favourite cakes from? If you love cakes with a more artisanal touch, here's a new place where you can find them - Buttertrade! 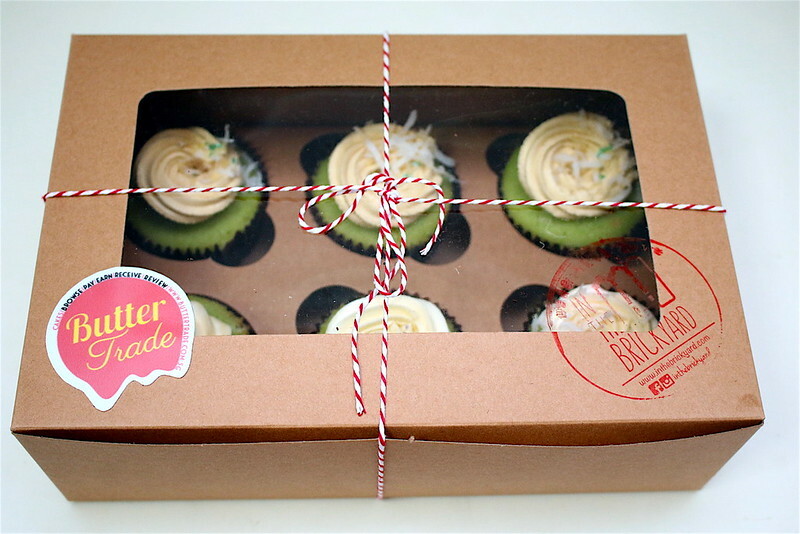 Buttertrade is an online marketplace where you can browse and buy from small boutique bakeries. There are more than 100 cakes including novel & local flavours, vegan, halal, gluten-free and even a dedicated section for our four-legged furry friends! It's convenient - order any time and pay a flat delivery fee. Buyers can even earn a 3% rebate to be offset against future purchases. 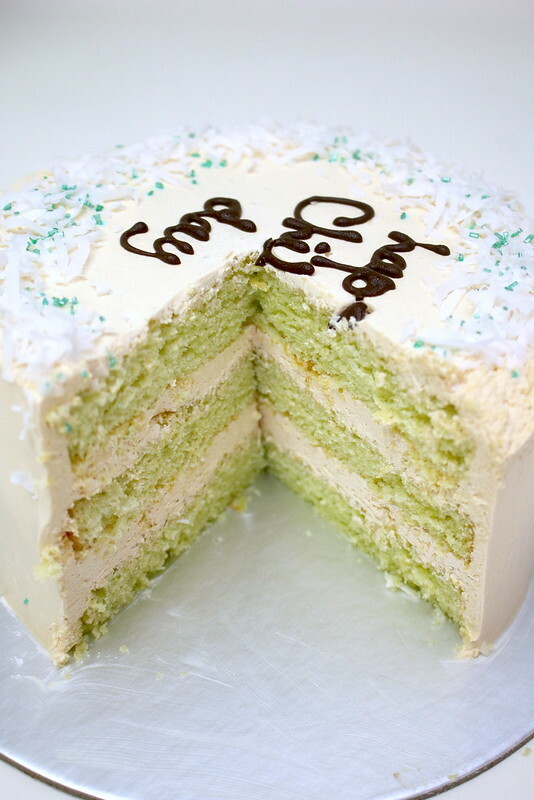 This is the Ondeh Ondeh Cake from In The Brickyard (we're doing a giveaway of one of these, at the end of the post). It's one of Buttertrade's bestsellers. 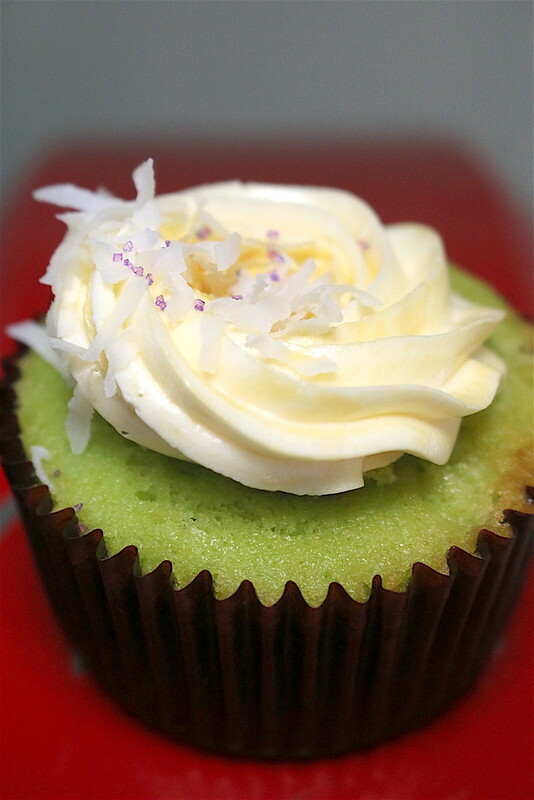 You get creamy gula melaka frosting sandwiched between layers of local pandan cake and toppings of snowy toasted coconut flakes. They may be introducing cupcake versions of these soon. I got to try samples of the ondeh ondeh and pulut hitam cupcakes; they are filled with gula melaka syrup and pulut hitam porridge respectively in the middle. I love the pulut hitam ones - they are just the perfect sweetness! The ondeh ondeh one was a bit too sweet because they are super generous with the gula melaka filling! Well, for me anyway, because I cut out half the sugar in all my recipes. But if you have a sweet tooth, these will be perfect for you. Oh I hope they make the Orh Nee ones also! Pipe them full of mashed yam and put ginkgo nuts on the frosting! Giveaway - Ondeh Ondeh Cake! We are doing a giveaway in time for Children's Day (7 October 2016). You stand to win a 5.5-inch Ondeh Ondeh cake (worth S$38) suitable for 6-8 pax, including delivery (S$18). Deadline is noon, 1 October 2016. Buttertrade is offering a 15% off promo code on local flavour cakes for all readers! Just type Camemberu as the code upon checkout. Might be a challenge as most people still cannot spell my blog name. I don't blame you guys. Haha. - 15% off all items in “local flavours” for purchases made between 1-31 Oct 2016. - Buttertrade reserves the right of final decision. So there you go! I hope this makes some kid(s) happy on Children's Day, and adults too. Many thanks to Buttertrade for the cake and giveaway!